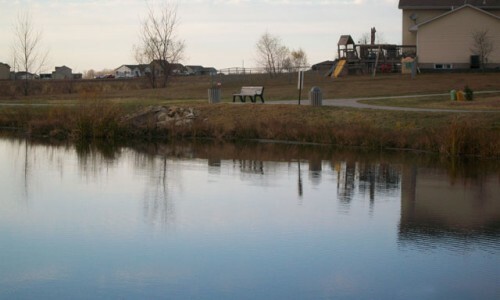 Windcrest Park is located on the northeast side of Granger in the Windcrest Development and is accessible by going north from State Street. 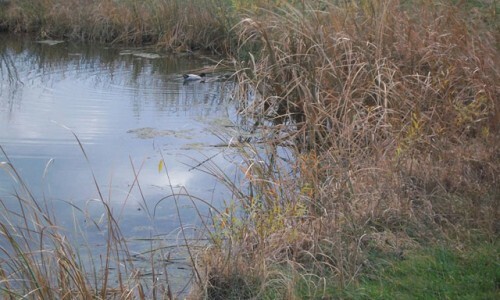 Windcrest Park includes a stocked pond for fishing and a walking path with native prairie areas. 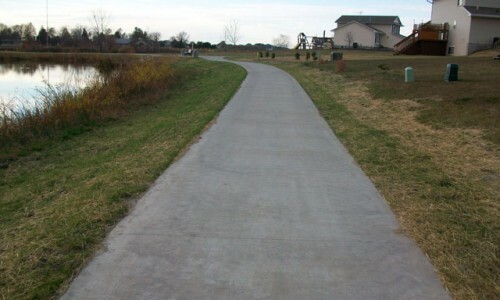 The City of Granger was awarded a $2000 grant from the Iowa Grocery Industry Association and Build With Bags that was used to purchase benches, planters, trash receptacles, and a picnic table to help finish construction at Windcrest Park. 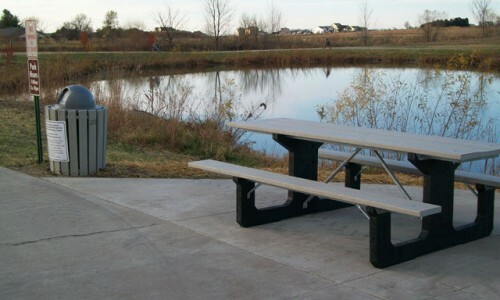 Encouraging purchases of furniture and equipment made from recycled plastic through a grant program for parks and schools. Many thanks are extended to the staff at Grimes Fareway for their endorsement of this grant.